This Week So Far – A Muslim Shopkeeper Takes Down 2 Robbers – North Korea has missiles on Viagra, that go on forever! If we had a Hero-of-the-Week-award my nomination would go to Muslim shopkeeper Nisar Ahmed who, when confronted with two bungling armed robbers, fought back. Armed with a crowbar and an axe these two masked robbers burst in to the convenience store where he works in Calgary, Canada and attempted to help themselves. Not only did our hero unmask the villains but his heroics were caught on CCTV here during the 5am raid. Mr Ahmed grabbed hold of the crook’s crowbar with his left arm while he wrestled with the first attacker. He then saw a chance to escape and ran out of the store but instead of continuing to run the wily shopkeeper then barricaded the robbers inside the store. Having filled their swag bag, the two villains then tried to escape but couldn’t get past the door even though they smashed through the glass using the crowbar and their boots. By the time police arrived Mr Ahmed had already performed a citizens arrest. Now Arthur Bennie, 35, and Natalie Elashuk, 25 have both been charged with robbery and assault with a weapon. The store’s owner Asif Mohamed said he has given Mr Ahmed a bonus and time off following the robbery. So, men will soon be able to buy the impotence drug Viagra over the counter at pharmacies without a prescription. After the decision by the UK Medicines and Healthcare products Regulatory Agency it will be for pharmacists to judge whether men over the age of 18 can safely be sold the little blue pills. The MHRA hopes it will stop some from buying unregulated medicines from websites and Mick Foy, MHRA’s group manager in vigilance and risk management of medicines, said: “This decision is good news for men’s health”. Well it might be good news for men of a certain age who will no doubt be thrilled to have their sexual potency restored but will their wives be as enthusiastic? I doubt it! And on the subject of exercising a little self restraint will someone tell Kim Jong Un to stop lobbing missiles at Japan? 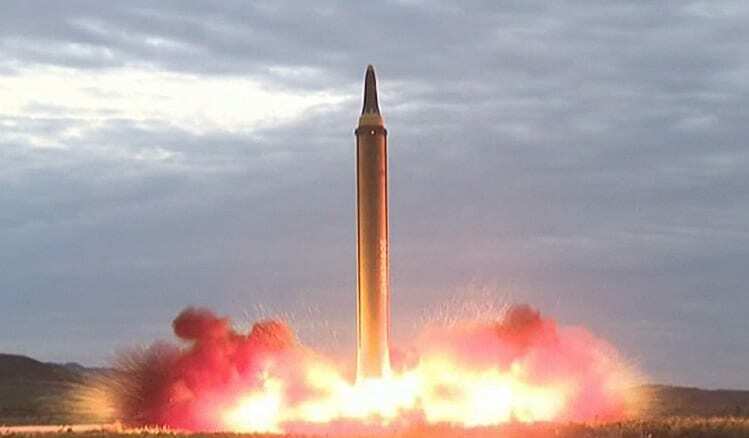 I see North Korea fired its highest-ever intercontinental ballistic missile which travelled for about 1,000km (620 miles) before it fell into the sea. The launch, early on Wednesday, is the latest in a series that have raised international tensions. You Say Tomato, I Say ..
Drew Liquerman of Republicans Overseas reckons that Donald Trump’s policy achievements on immigration, foreign affairs and judicial appointments will leave a legacy that few presidents can match … I think few would argue with that, but perhaps for different reasons, Drew! This tweet is for all you people who watched I, Daniel Blake and thought it was far-fetched.